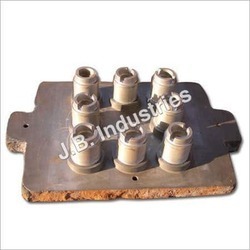 We are providing Industrial Die Mounting to our clients. We offer high quality of Mountings (Front/Rear, Rh/Lh) For Chassis Suspension. Mountings, Gaskets, Bellows, Wheels & Rollers and Extruded Profiles, using high quality polymers to meet the working conditions of the users. We are a well for mountings for turbines. Precision designed, these are appreciated for their outstanding quality & easy mounting & dismounting process. Moreover, these can withstand extreme temperature and prevent rusting. ELMECH heavy-duty buffers are specifically designed for isolation of heavy machinery like mixers presses etc. Ideal for high static and shock Loads in compression. We offer an array of P mounts that come with threaded top, non-skid ribbed base. These products are available in static deflection ranges from 5 to 12 mm. Our P mounts are used to effectively isolate the noise level and vibrations caused from rotating equipment with speeds of 1000 RPM & above. 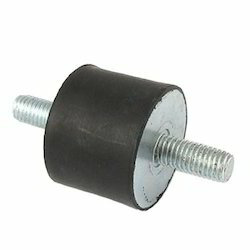 Anti-Vibration round mounts are use in machine foots to install the machine on floor without contructing concrete base. Max Spare Round Mounting arrest noise level and vibrations. Adjustable built-up guide helps precise levelling of the machine and keeps it static.